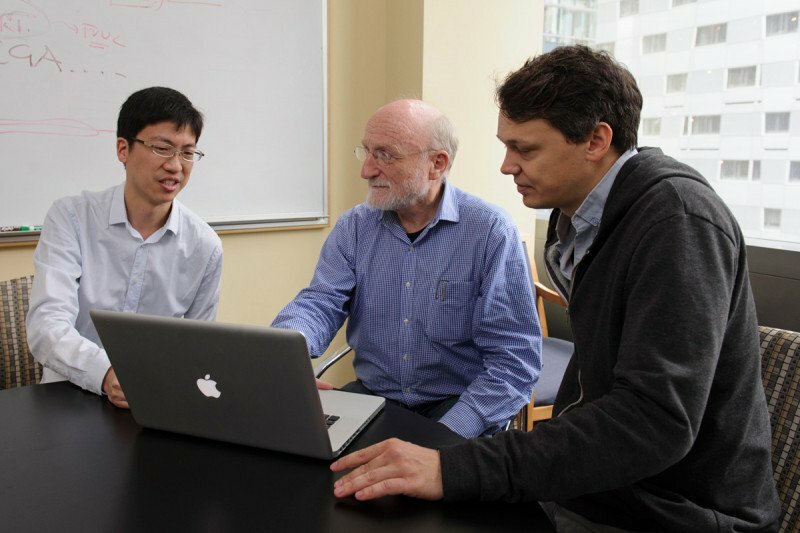 Computational biologist William Lee with study co-authors Chris Sander and Nils Weinhold. About three billion base pairs make up the human genome. But less than 2 percent of that material contains the sequences for genes that code for proteins — and until now, most analysis has concentrated on that small portion. This is also true in the study of cancer, where the search for genetic changes in tumors has focused on mutations in protein-coding regions. 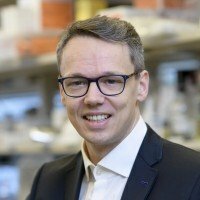 Now investigators from Memorial Sloan Kettering have undertaken the largest-ever study focused specifically on analyzing mutations that recur in noncoding areas of the genome across a range of cancers and found changes that may play a role in the development of the disease. Experts estimate that about 80 percent of the human genome has some function even though most of it is noncoding, meaning it doesn’t contain explicit instructions for making proteins. But little is known about the role of noncoding DNA. Researchers know that mutations in noncoding regions occur in cancer, but the effect of these alterations has not been well understood. Recent improvements in technology have made it possible to systematically sequence entire genomes on a large scale, something that was not possible only a few years ago. In the current study, the investigators analyzed the complete genome sequences of 863 patient tumors provided by The Cancer Genome Atlas (TCGA, a joint effort funded by the National Cancer Institute and the National Human Genome Research Institute) as well as other sources. They were looking for recurrent mutations in areas of the genome that do not code for proteins but are known to be important. Results from the study suggested that mutations in those regulatory regions, which influence how genes get translated into proteins, could lead to the onset of many cancer types. “The most important finding from this study is the identification of several types of noncoding regulatory regions that are recurrently mutated in cancers, both within specific cancer types and across multiple cancer types,” Dr. Lee explains. The researchers say the next steps are to sequence more tumor genomes as well as to continue integrating the results of their efforts with cancer genome data from the wider research community, including TCGA and the International Cancer Genome Consortium. “In parallel, we intend to follow up on our findings by collaborating with other researchers to identify the mechanism of action for the mutations we’ve found and to determine whether they have any utility for molecular diagnosis in the clinic,” Dr. Lee says. This research was supported by a TCGA grant from the National Institutes of Health, the Danish Research Council, and the Carlsberg Foundation. The DNA findings and links to cancer will continue to advance in the fight against cancer. Keep up the good work. Ali, to learn about coming from Pakistan for treatment at Memorial Sloan Kettering or having an Memorial Sloan Kettering physician review the patient records, you should contact our International Center by calling (1-212-639-4900) or going to the website at http://www.mskcc.org/cancer-care/international-patients. The email address is international@mskcc.org.